Good work, Coors Light. 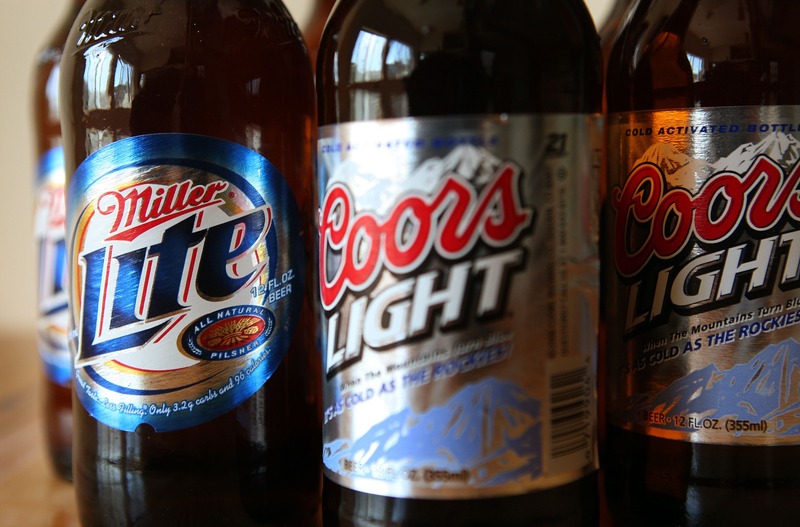 Residents of Toronto, Canada, were left furious when a dubious-looking case sparked the shutdown of an intersection, and turned out to be...a Coors Light "Search and Rescue" marketing gimmick. The package was attached to a railing at one of Toronto's busiest intersections, prompting an investigation that caused heavy traffic jams and delays. The investigation shut down the intersection of Spadina Avenue and Dundas Street West just after 5 p.m. Monday, when commuters were probably sitting in rush-hour traffic dreaming of grabbing a nice, cold one when they got home. However, the very thing they were craving was keeping them from reaching their destinations. Oh, the irony! After an investigation by Toronto police, the Toronto Transit Commission, and the bomb squad, the briefcase was confirmed to be part of a scavenger hunt contest organized by Coors Light Canada. The beer company launched its "Search and Rescue" scavenger campaign to keep things interesting for Canadians this summer, challenging them to find hidden prizes throughout the country. Well, I can guarantee that for the citizens of Toronto, Monday's incident was anything but boring. And like people stuck in traffic are wont to do, commuters near Spadina and Dundas started tweeting the progress of the situation. As the situation unfolded, tweets went from concerned to bemused to enraged. The TTC also took to Twitter to confirm the marketing stunt and Coors Light finally chimed in to apologize for the mess. Take a look at the timeline of events through tweets — this is what the unfolding of an epic fail looks like. The TTC first confirmed the investigation shortly after 5 p.m., and everything's all business. Then people start to realize that it's all part of a marketing campaign, and they're initially able to see the humor in it — perhaps it's the relief that this wasn't some act of terrorism. The amusement is short-lived. When the realization settles in that a beer scavenger hunt caused a major city intersection to shut down, emotions start to turn. As you can see, people are not happy. And end its Search and Rescue contest. So much for free iPod shuffles and pizza cards. Hopefully the citizens of Toronto will be able to get home at a decent time the rest of the week and enjoy that nice, cold beer. We're betting it won't be a Coors.